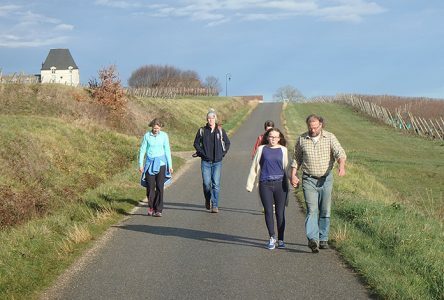 We offer active, small group and private walking, wine, cultural and gourmet food tour travel in South West France and the greater Bordeaux region and fun, accessible wine courses. Why consider us? 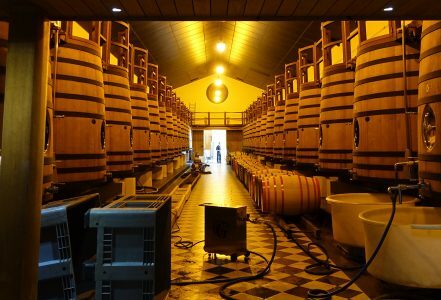 ‘An insider’s experience’: French Wine Adventures offers you a true ‘insider’s experience’: with deep wine knowledge and insider’s contacts: the owners and guides live here and know these vineyards personally. The winemakers you visit welcome you as friends. 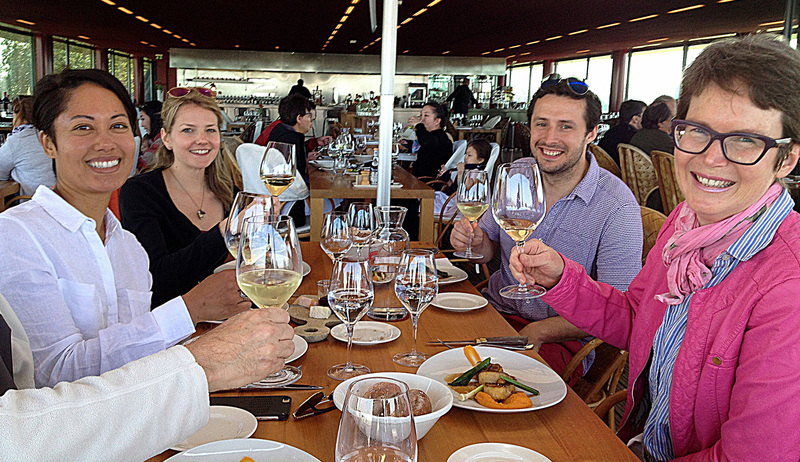 Top 5 France Wine Tour. 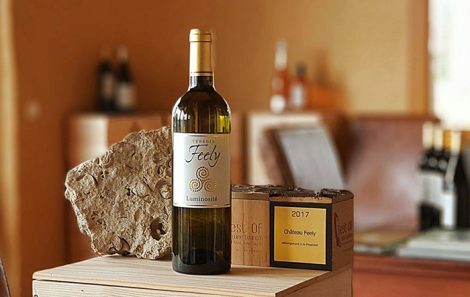 A warm welcome: accompanied by enthusiasm and fun: Seán and Caro Feely, took the plunge to follow their dream of growing and making wine in South West France in 2005. When they arrived they were welcomed by a group of exceptional winemakers, close friends, who extend this welcome to you as our guests. Sharing this idyllic location, the people that populate it and a deep passion for wine and organic is the French Wine Adventures’ great joy. Top 5 France Wine Tour. 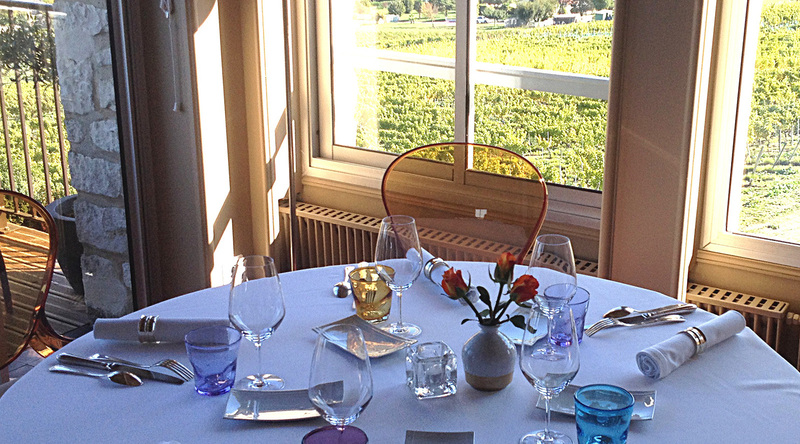 Fantastic french food, wine & accommodation: South West France excels in food and wine. 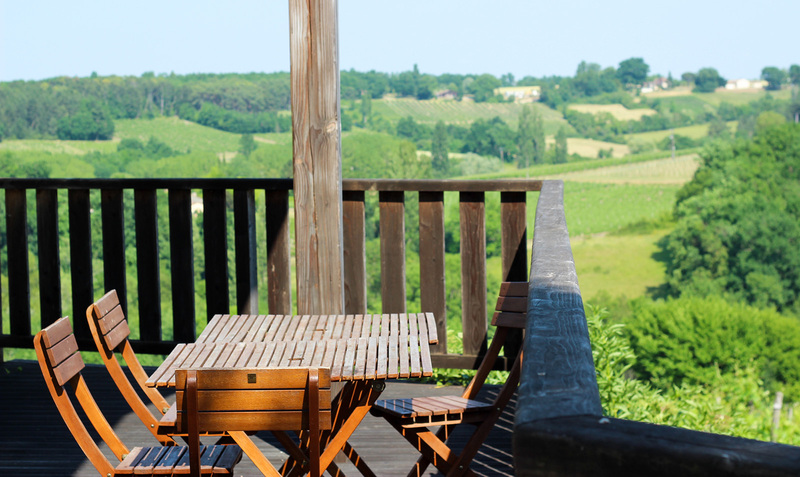 French Wine Adventure’s fine choice of accommodation, restaurants and wines complements this perfectly. 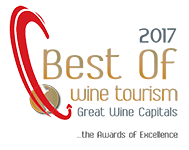 We cater to your timing and your requirements offering gourmet experiences including for vegetarians, vegans, gluten free and other special needs. Top 5 France Wine Travel. Track record: French Wine Adventures has offered tours and courses in France for more than a decade and won the tripadvisor certificate of excellence every year since joining the site in 2010. We have a 100% pass rate on our WSET wine courses. 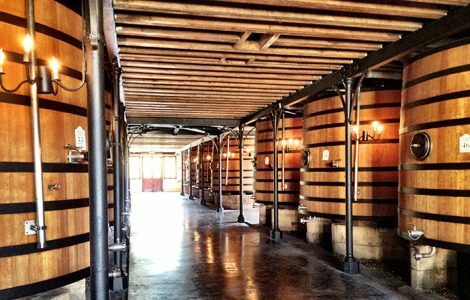 Top 5 France Wine Tour. Excellence and passion: founder, Caro Feely, is a winegrower, business professional and certified wine educator. Read about the story of the Feely’s life in France in Caro’s critically acclaimed books – called ‘earnest and winning’ and ‘sincere and passionate’ by The New York Times. (link books to my associate page) Grape Expectations, Saving our Skins, Glass Half Full and Wine, the essential guide to tasting, are available at Amazon and other book outlets worldwide. Top 5 France Wine Tour. Are the tours and courses in English? Yes; all our tours and courses are in English (possible in French too) and your guides are fully bilingual and native English speakers. When are your tours available? We offer tours all year round to suit your timing. What is the best time to visit France? It is possible to visit all year round. Spring (April to June) and autumn (September to November) are fabulous, not too crowded but generally good weather. In walks and festivals but it can be very hot and places like St Emilion will be crowded. Harvest in September and October have their own special atmosphere. winter there is the advantage of the truffle markets and a feeling of having the place to yourself. In high summer there are many events like night markets, night walks and festivals but it can be very hot and places like St Emilion will be crowded. Harvest in September and October have their own special atmosphere. How many people are on the tours and courses? 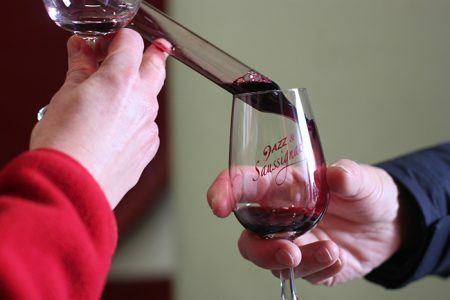 French Wine Adventures offer small group tours and courses. 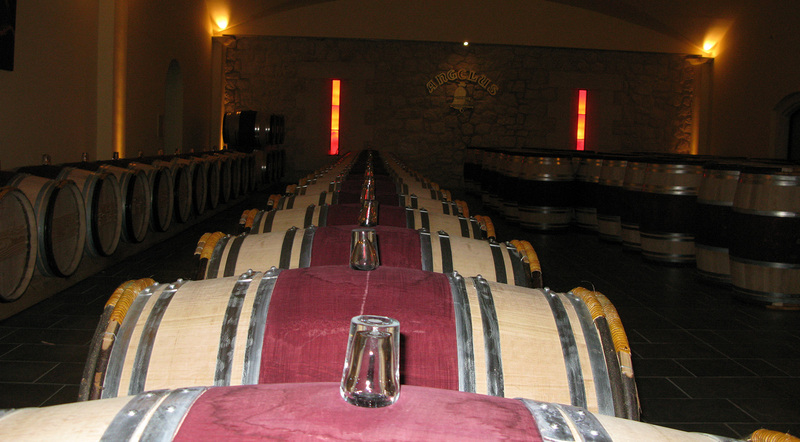 On walking tours and grand cru classé tours in St Emilion or Medoc groups are six maximum. For the courses and tours at Chateau Feely groups can be up to 16. We also offer private tours -let us know if this is your preference. Do I need to be an expert to join your tours or courses? 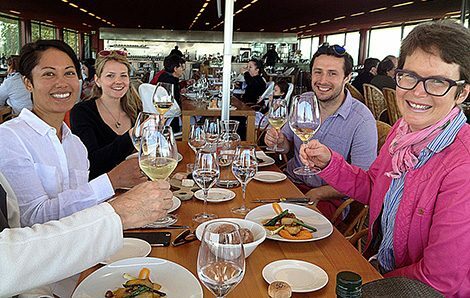 We have welcomed specialists like winemakers and sommeliers and people new to wine on our tours and courses. All have cherished the experience. This is an authentic and deep encounter with French wine and culture. I am a wine connoisseur will I be bored? Even if you are a wine buff and have toured wine country on many continents our tours and classes will take you into a new dimension in understanding growing, provenance, terroir and this region. Can I buy wine to ship home? 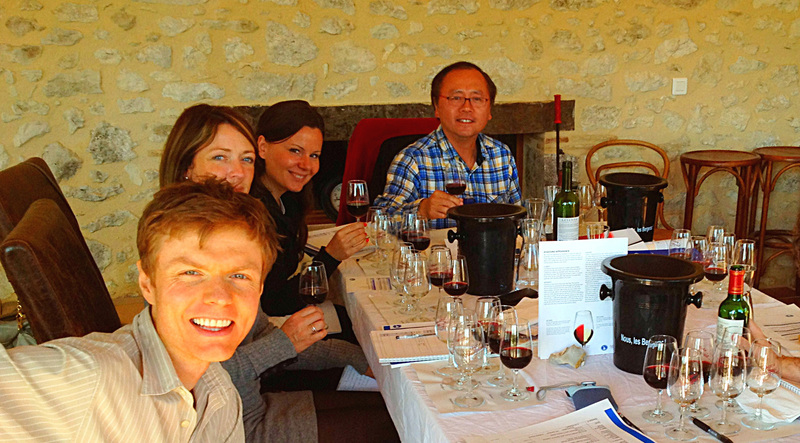 Yes; we can organise a tasting as part of our st Emilion day where you will be able to ship wine home. Many of the vineyards we visit ship around the world. Absolutely. We have a minimum booking of two people to make our tours and courses viable at the listed price but we can provide a solo price and include you with another group if we have others booked on the dates you are looking for. What should I wear/ pack? Even in summer remember to bring a jersey/pullover for the outings as cellars can be cool. 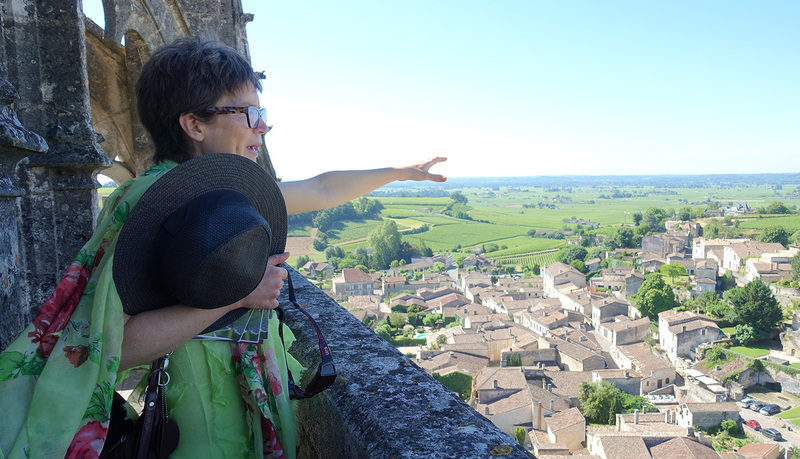 We recommend smart casual for evening and for St Emilion and Medoc with practical shoes for walking in vineyards and on cobble stones For walking tours good closed walking shoes and comfortable clothes plus rain gear and a small backpack for water and sunscreen are recommended. What level of difficulty are the walking tours? We can adjust to needs of guests based on levels of fitness. 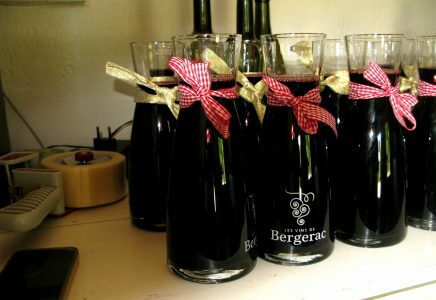 They are not suitable for guests that have difficulty walking – we also offer wine tours without walking. We have categorised them using the system below. Moderate: for those who walk on a regular basis. Moderate plus: for walkers who are comfortable with ascents and descents and slightly uneven terrain.